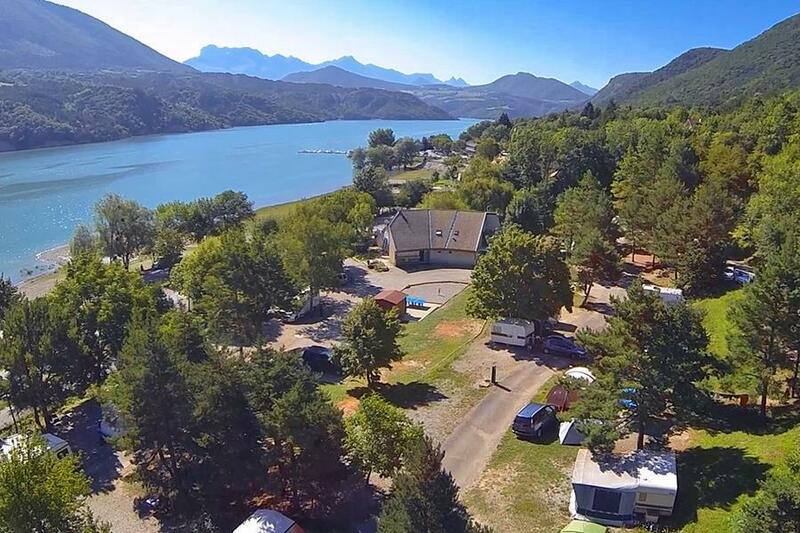 Camping de la Plage is a campsite with 75 touring pitches and 3 year round pitches. During low season, between 04-05-2019 - 30-06-2019 and 01-09-2019 - 17-09-2019, the nightly rate is €14,- at one of the 75 touring pitches at Camping de la Plage in Treffort (Isère). At this campsite you can not only use your CampingCard ACSI for inexpensive camping, you can also use your ACSI Club ID (as an alternative ID). A campsite located by the lake. Plenty of facilities for the sportive camper. Good restaurant. Convenient for a boat trip on the lake and a walk across the Himalaya suspension bridge. Site on Lake Monteynard. 2hr free WiFi a day. Nice walks overlooking lake. Would you like to book Camping de la Plage or request more information? You can do both using the information below or by visiting the campsite's website. From N: Via Grenoble A51, exit 13 to Lac de Monteynard. Then Sinard/Treffort. Campsite signposted at lake. Keep left. From S: N1075 through Monestier (not A51). Then Sinard/Treffort. CampingCard ACSI will send your information request to "Camping de la Plage".